Des Hill - MEB Design Ltd.
Des was born and brought up in North Nottinghamshire. After leaving school, he combined work in an architect’s office, with part-time study at Doncaster College of Technology, followed by full-time architectural study at Portsmouth and Central London Polytechnics. Des was employed by the BBC as an architect for 23 years, and gained experience of highly-serviced technical buildings, including both new-build and refurbishment, within broadcasting centres, offices, and storage buildings. 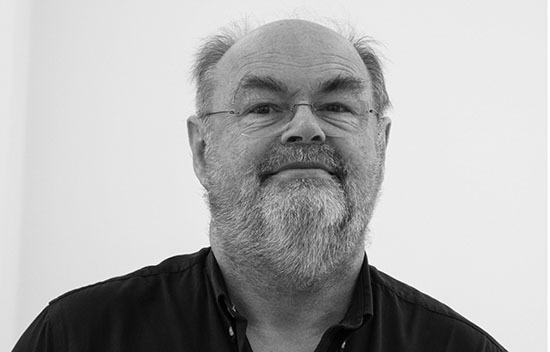 Des joined MEB Design in 2003, and since then he has contributed too, or led, projects mainly within the Educational and Ecclesiastical fields, encompassing both new-build and refurbishment. Des is a member of the 20th Century Society, having an interest in C20 architecture, and the arts generally (despite being educated in a predominantly engineering environment), having had an interest in drawing and creativity from an early age. Photography and the imaginative image has been a lifelong pursuit, with participation in competitions and public exhibitions of his work. This interest has gone hand-in-hand with travel to interesting and far flung, characterful destinations. He is currently endeavouring to resume drawing and painting. Des’ interest in 20th Century architecture, feeds the possibilities that refurbishment of buildings can be imaginative, as well as more sustainable in certain circumstances.